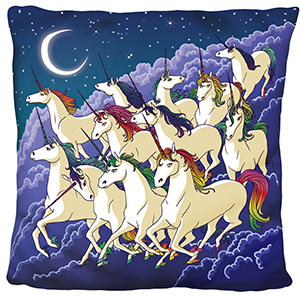 Herd of Unicorns Pillow: An Adorable Fuzzy Plush to Snurfle and Squeeze! What are these beautiful shadows galloping across the sky? A gathering of rain clouds? 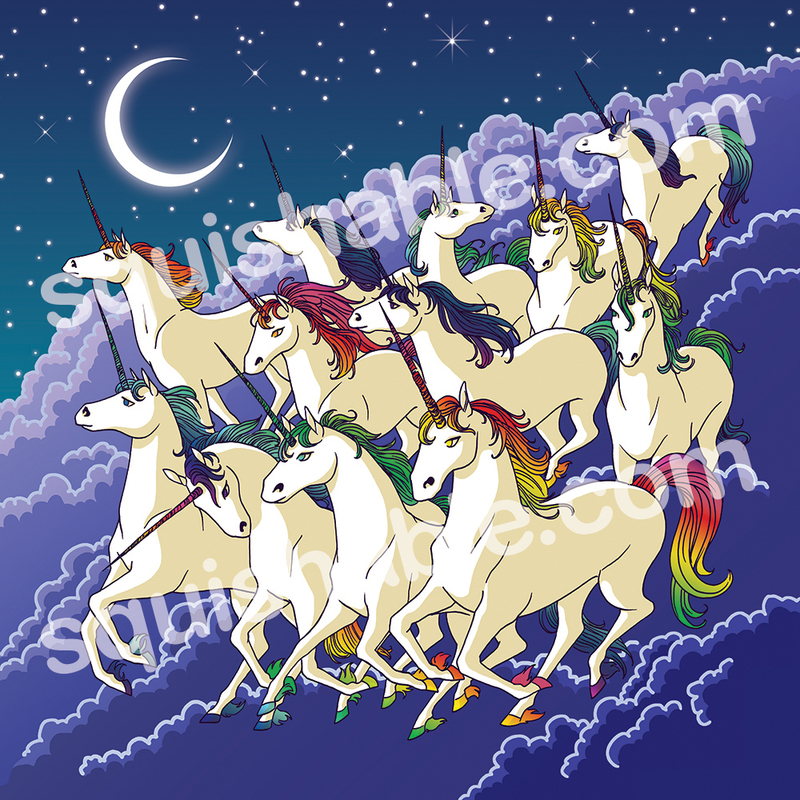 Or perhaps a 'blessing' of rainbow unicorns running through the night! That was my second guess! Indeed, a group of unicorns is called a "blessing," and you'll know why when you gaze upon the magnificent, rainbow-power of these noble steeds. So when the sun sets, take that extra sip of tea, turn up the power ballads, and let this blessing of unicorns run through your dreams!